Here you will find a listing of the books the staff at NYLA read as a part of our company book club. We love new information and inspiration, and have gained a lot of both from the titles in our book club. Below each selection, we explain in a nutshell what we learned from that book, and provide a link to purchase it from Amazon. We hope that these titles help to inspire you as well. 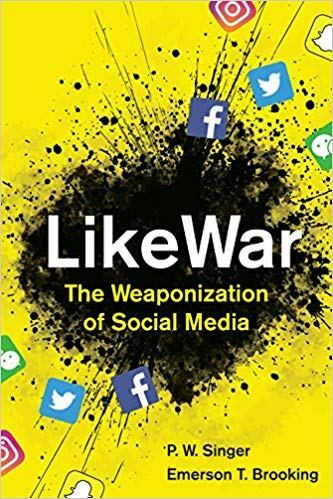 Nyla’s Winter 2019 Book Club pick is LikeWar: The Weaponization of Social Media. Anyone who uses social media will enjoy this in-depth look into the relationship between social media, war, and politics. P. W. Singer and Emerson Brooking, two defense experts, look at ISIS, Taylor Swift, the rapper turned jihadist PR czar and Russian hipsters and more. His life has often been called a rags-to-riches story, but Mark Cuban himself would more likely call it a story of tireless work, constant education, and never giving up on the dream of being successful. Today Mark Cuban is known as the charming billionaire owner of the Dallas Mavericks, co-owner of 2929 Entertainment, and a “shark” on the ABC reality show Shark Tank, where he has invested over 19.9 million dollars in start-up companies. In his book, How To Win At the Sport of Business, Mark Cuban talks about his humble beginnings as the son of an automobile upholsterer. From his very first job at 12 years old, selling garbage bags door-to-door, to giving disco dance lessons to sorority girls, to bartending, to sleeping on friends’ couches, to finally starting his first technology company. 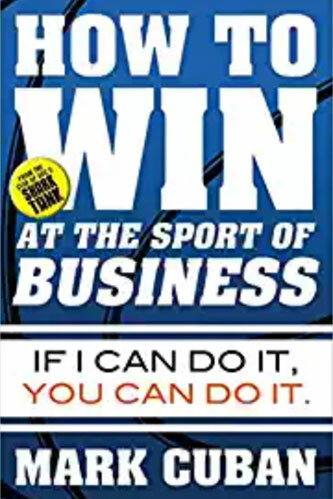 How To Win At The Sport of Business is a collection of short works written by Cuban himself detailing all the techniques and strategies he discovered and honed on his journey to being a successful entrepreneur. This is not a story about luck, but a story about how he discovered determination and hard work are the only barriers to success. Skunk Works was the name of the top secret, World War II, aerospace aircraft design program charged with building the United States government the fastest, stealth and fighter planes of the time. In this biography of the same name, Ben Rich, the second director of the program for over two decades, recounts the efforts of the scientists, engineers, CIA personnel, and Air Force pilots who made Skunk Works into one of the most remarkable and revolutionary aviation companies in military history. Not only does the book delve into the personal histories and anecdotes of the people involved in the company, along with detailed descriptions of aviation engineering, the book also takes a look at the managerial tactics Ben Rich brought to the company that elevated it to new heights. He discusses the benefits of utilizing techniques such as eliminating bureaucracy, maintaining constant communication, employing a small team with above average talent, and other unique approaches that structured the company to be as efficient as possible. 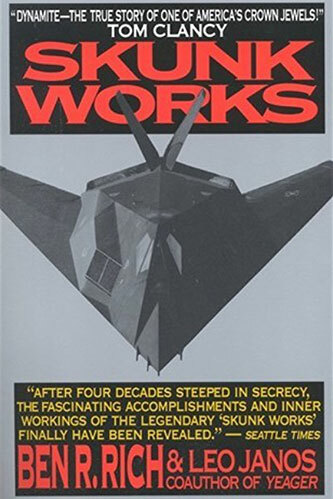 Remembered as the “Father of Stealth,” Ben Rich’s Skunk Works is an incredible account of the marvels that can be accomplished when a company with a strong leader and passionate employees push beyond the limits of human imagination. The idea of utilizing psychology to influence or persuade others to doing what you want is not new, and those not born with this innate ability often seek out instructors or programs to help them develop this skill for themselves. There are many resources that cater to teaching people how to influence others, but very few approach it from the viewpoint of protecting people from the influence of others. First published over three decades ago, Influence: The Psychology of Persuasion has become a staple in the field of psychology and Fortune places it on its list of the “75 Smartest Business Books.” In this book, Robert B. Cialdini, Ph.D discusses what he calls “weapons of persuasion.” They are six universal principles that are so effective, they can be used to influence a person to happily perform actions for others. Actions that can be irrational or go entirely against that person’s own self-interests. 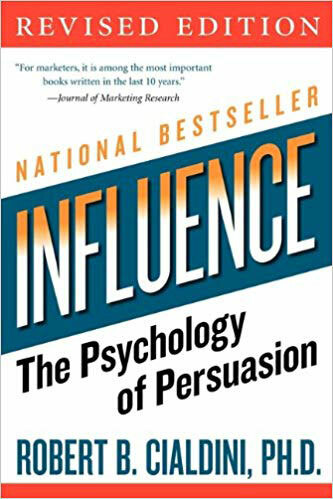 Cialdini’s main focus is to have the reader understand that it is more important to protect oneself from influence than learning how to influence others. This involves vigilance in social interactions, honing one’s intuition, and utilizing other methods to prevent one from succumbing to manipulation or unwanted influence.